Michelle prepared some Almond Thins cookies for the Chinese New Year celebration at the South Arm Cooking Club for Seniors. Michelle called it Monica’s Almond Thins. I guessed the recipe is from Monica. 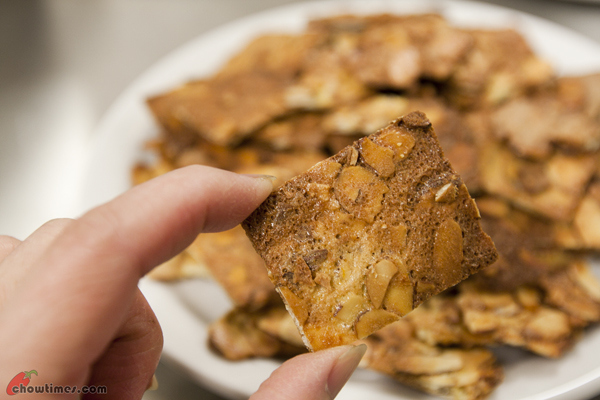 The Almond Thins are crispy and quite additive. They are great with a cup of tea. 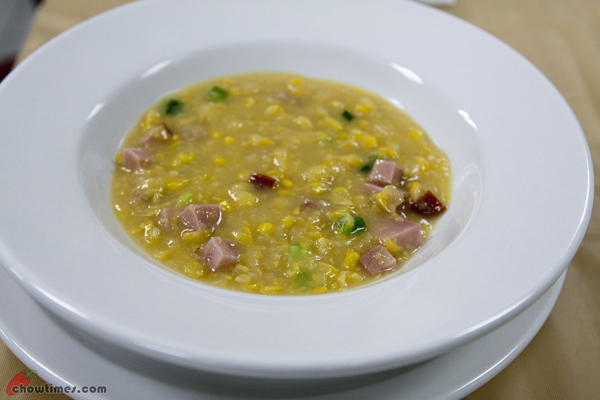 Michelle prepared a very simple Creamy Corn Soup for the Chinese New Year celebration at the South Arm Cooking Club for Seniors. 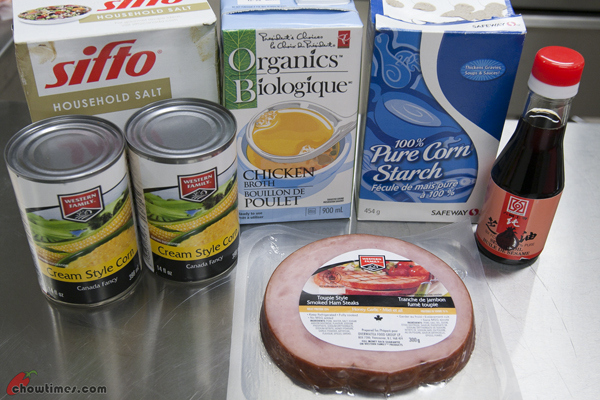 The Creamy Corn Soup can be made with ham, cooked chicken, cooked crabmeat, salmon or shrimp. 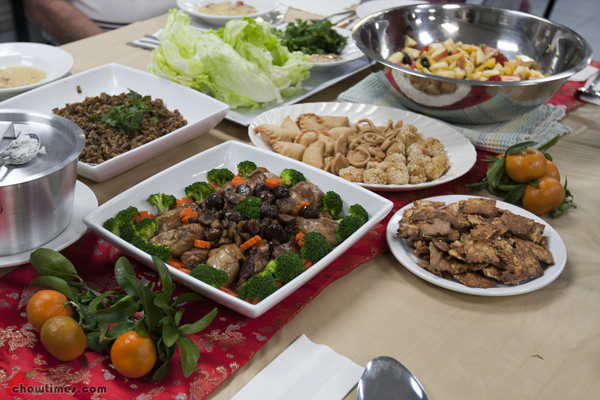 The South Arm Cooking Club for Seniors celebrated the Chinese New Year with some Asian recipes. Stella, the South Arm senior program coordinator distributed red packets to the participants during the meal. 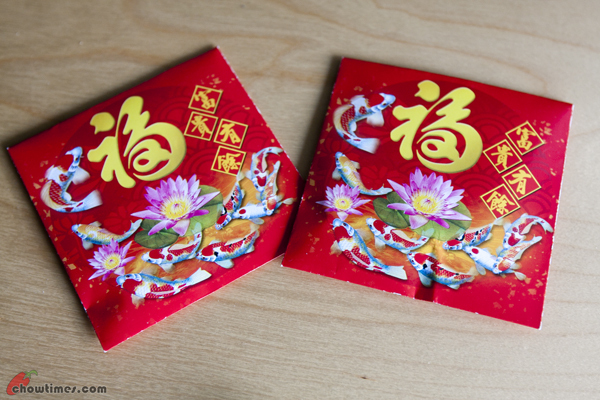 Stella distributed 2 red packets to each participant as double number is auspicious. 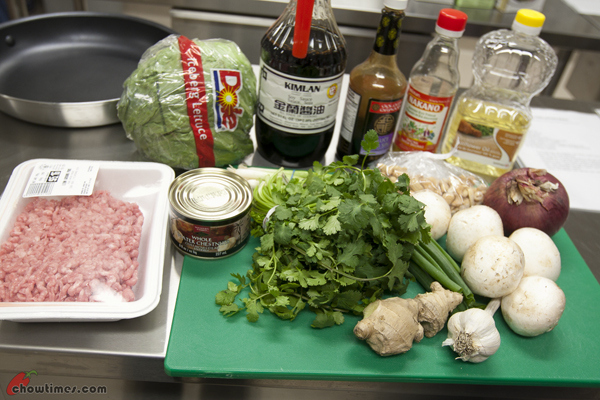 Michelle Li, the facilitator prepared some Asian recipes for the Chinese New Year celebration. 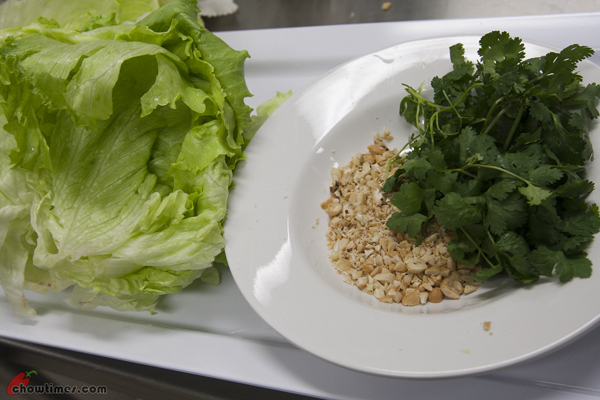 The dishes include an Exotic Fruit Salad, a Creamy Corn Soup, a Pork Lettuce Wraps and Almond Thins for dessert. Stella also bought some Chinese New Year cookies for the occasion. 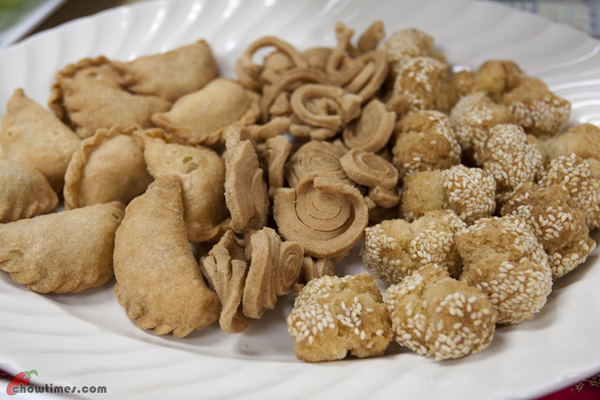 The Chinese New Year cookies include a “Laughing Pastry” (the one coated with sesame seeds), a deep fried Peanut Dumpling and Elephant Ear cookies which I brought for sharing. Stella told us that she was shocked at the price of the Chinese New Year cookies that she bought. They are exorbitantly expensive. 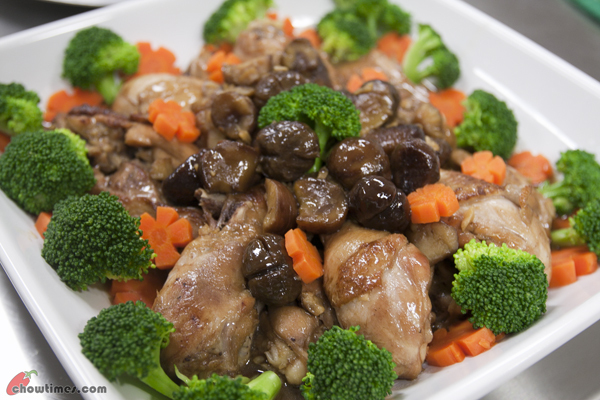 I also contributed in this kitchen by making a Chinese dish called Chicken Braised with Chestnuts with the help of Helmut and Chris. 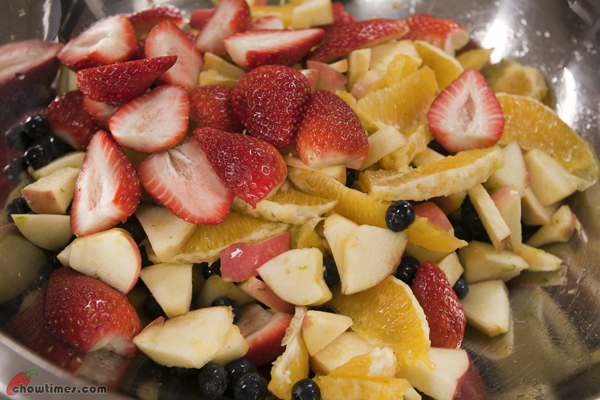 The Exotic Fruit Salad can be a great starter to meal or as a dessert at the end of a meal. It is colourful and healthy. 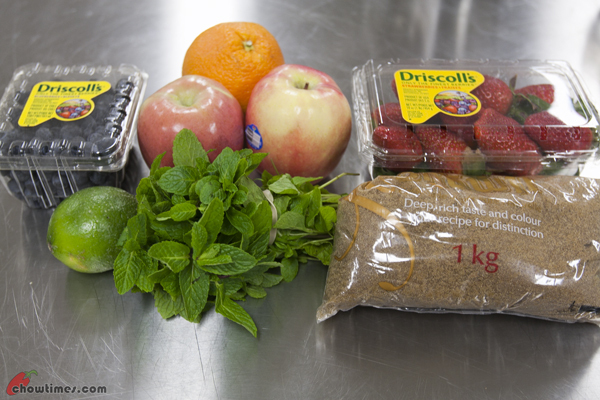 This is a very flexible recipe and seasonal fruits are recommended. Toss to mix well and let marinate in the refrigerator. Updated 1st Oct 2014; This restaurant is closed. 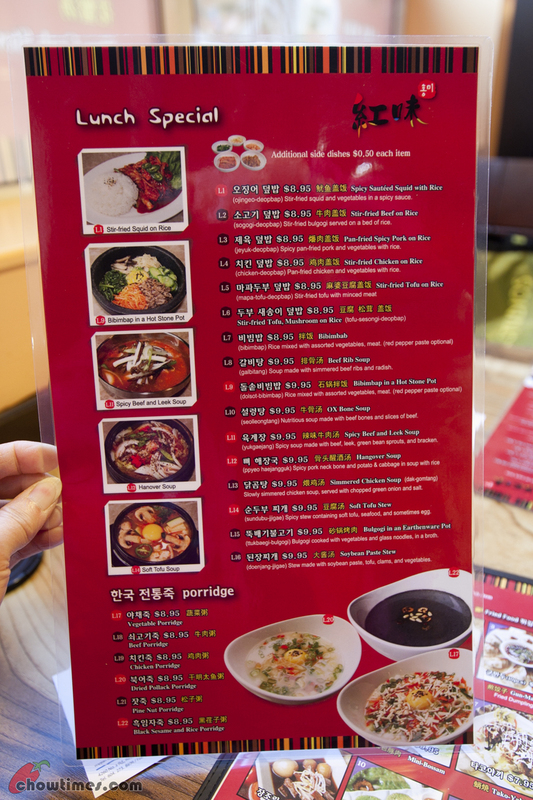 Polly and I chanced upon this new Korean Restaurant Hong Mi on our usual meeting. We were looking for a place for lamb hotpot since the weather is cold now and we just drove out from Lido as we were told that they dont serve lamb hotpot during lunch hour. 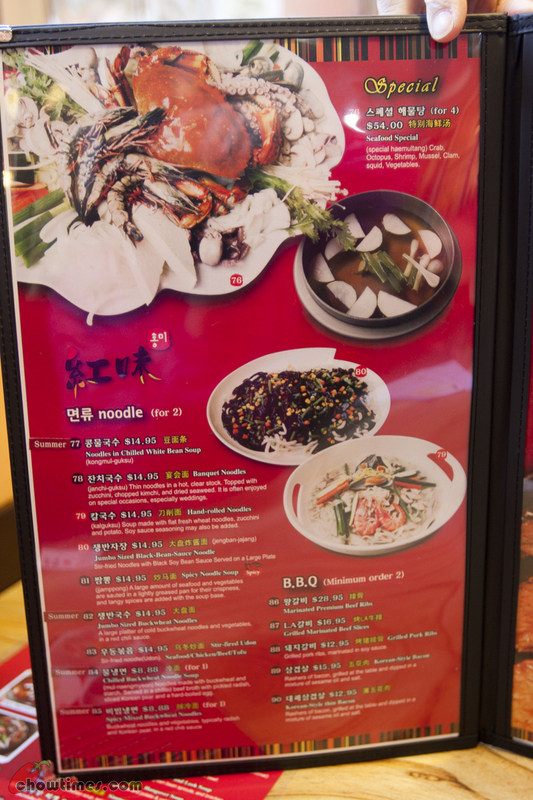 As we pulled out from the mall where Lido is and wanted to go to Aberdeen Mall, we saw that a new Korean restaurant has taken over Kim Ga Nae (also a Korean restaurant) used to be. So, we decided to check it out. 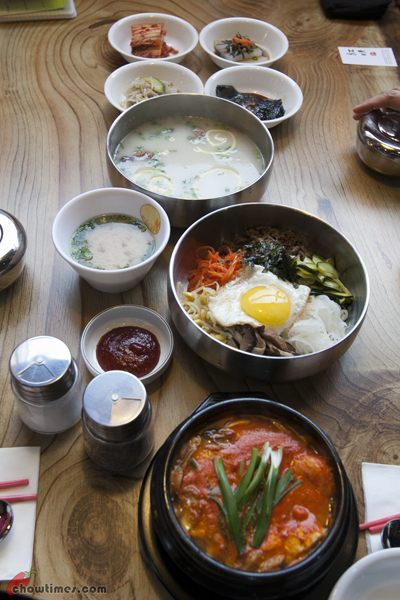 We were told by the server that Hong Mi has just opened for a month. 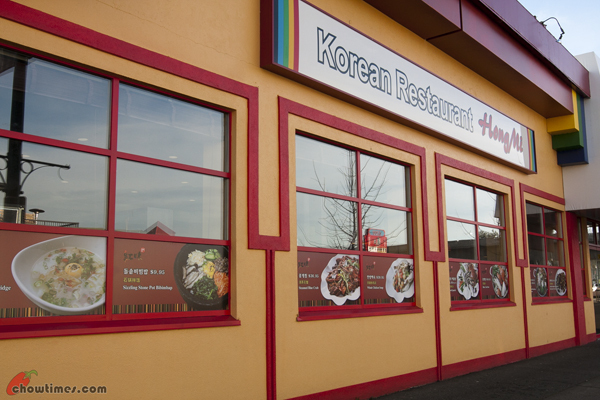 We like that there are pictures of Korean dishes on the windows. It’s a good way to advertise. The restaurant is big. It is divided into two sections. The area above is for regular diner whereas the far end behind the Christmas tree is another area for hot pot. 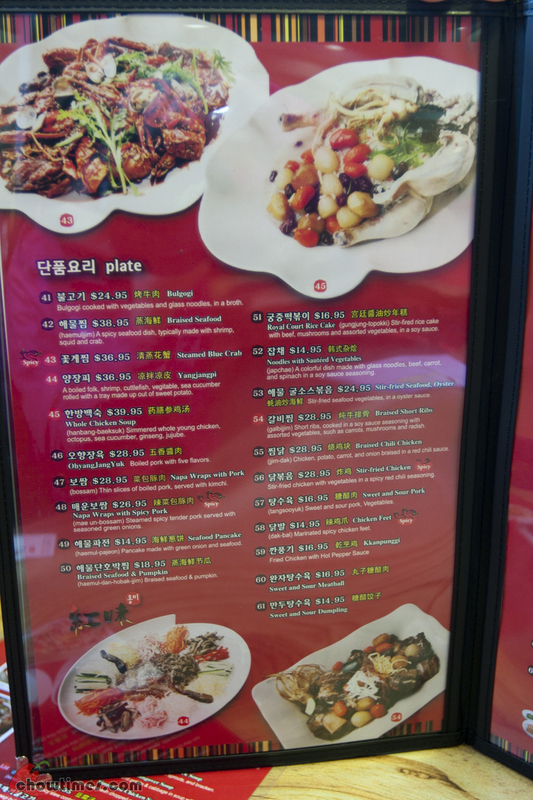 We went for the regular Korean dishes. This area alone seats about 100. 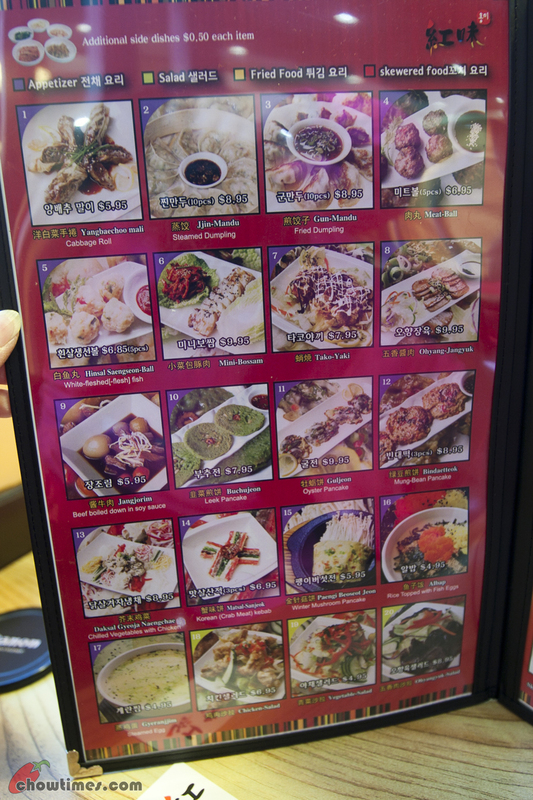 We like the menu especially the first two where the appetizers are. It is loaded with photos which made ordering much easier. You can click on the menu to have a larger view. 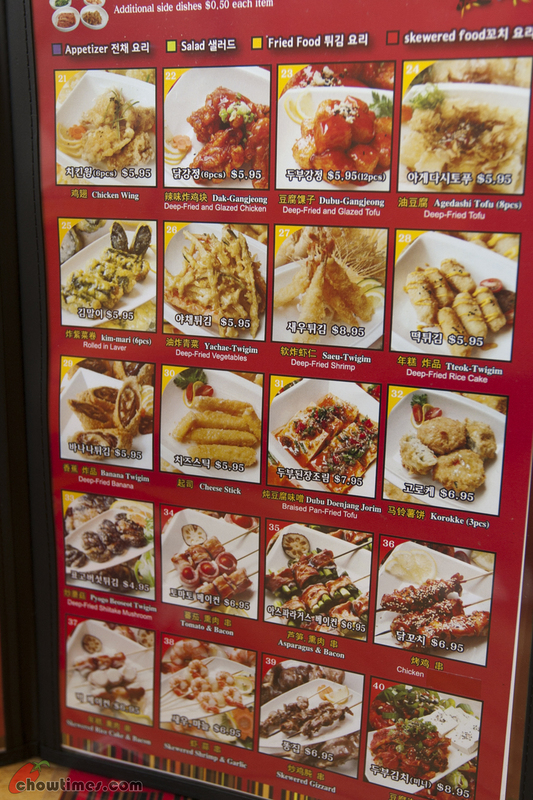 We ordered mainly from the lunch special menu (the left most menu). The server told us that 3 items on the lunch special is on promotion now which is $4.99 per item. You can click on the lunch special menu to have a larger view. The items on promotion is L7, L10 and L14. 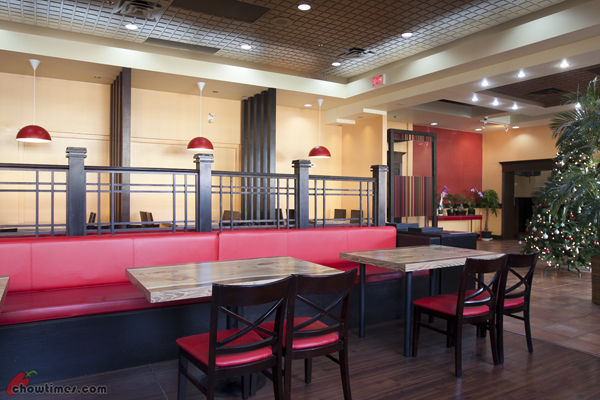 Something that is different here from other Korean restaurant is the chopsticks. Korean restaurant usually uses metal chopsticks which have very pointy ends. The above are more like Chinese chopsticks. 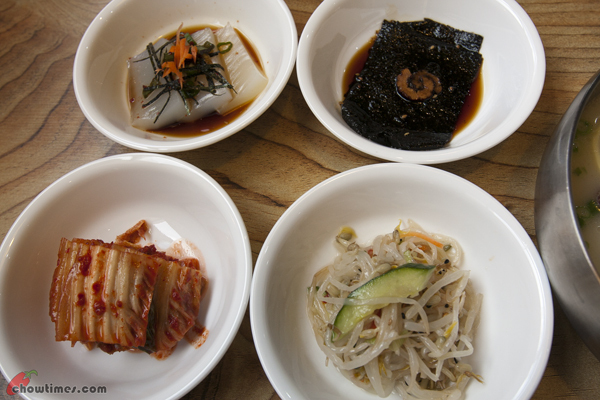 Four banchans are served here; kimchee, beansprouts, seaweed in a sweet soy sauce and the last item is a jello like item served with soy sauce. 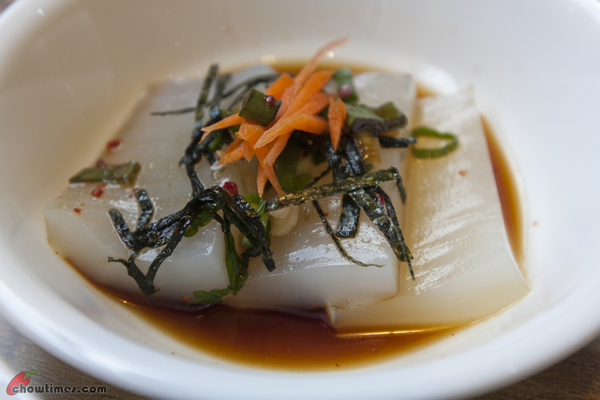 We found out later that the jello like banchan is made with some kind of yam. We saw the item in T&T supermarket after lunch when we went to get some groceries. Polly bought some for her kids to try. 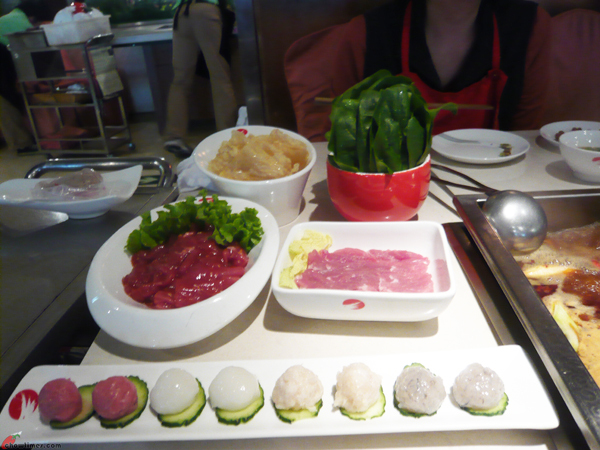 We ordered an appetizer called Mini Bossam. It costs $9.95. 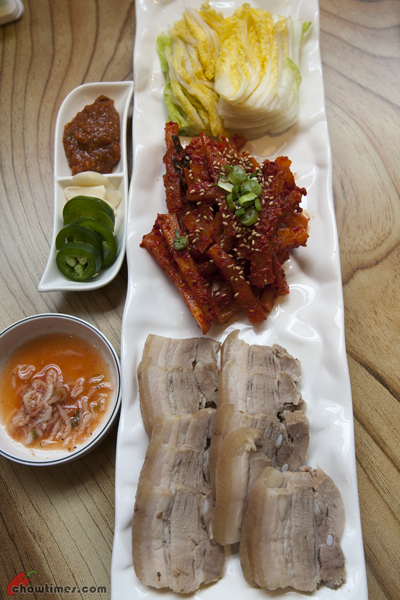 It is steamed cabbage, pickled daikon and poached pork belly served with a bean sauce (ssamjang), raw garlic slices, jalapeno and a Korean fish sauce. 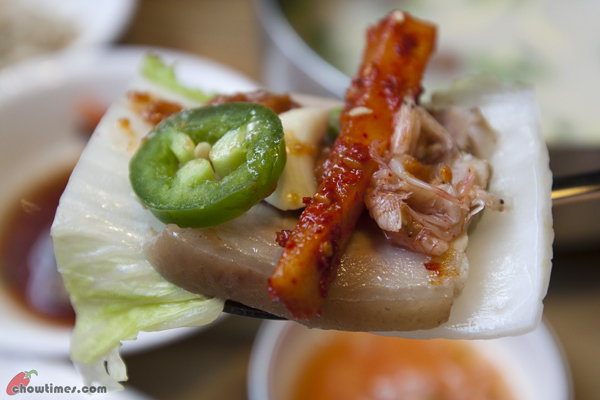 The way to eat the Bossam is to place a piece of the cabbage on your palm, top with a piece of the pork belly, a piece or two of the daikon, garlic and jalapeno (optional) and season with the sauces to taste. If the cabbage is big enough, you can wrap it up as a bundle or just place the whole stack of food into your mouth. 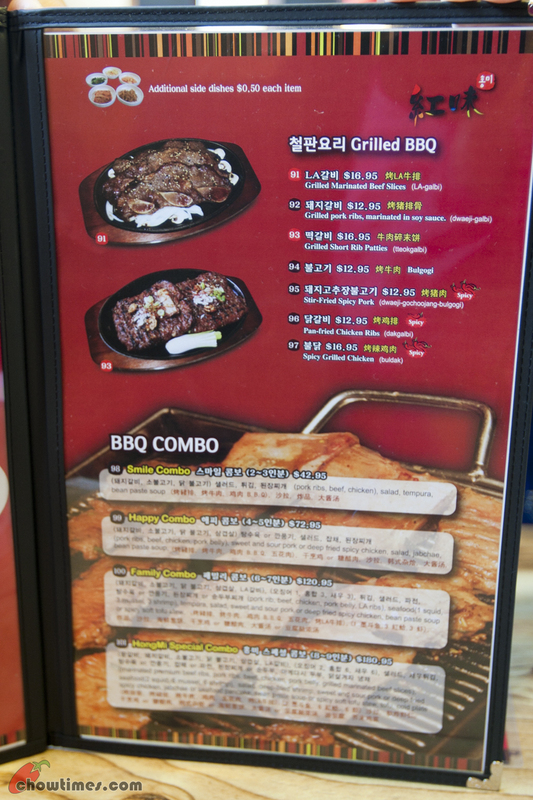 The spiciness from garlic and jalapeno gives it a good kick. After the late hotpot lunch at Hai Di Lou, we went back to the hotel to rest. On the way back, we bought a couple of Ben’s favourite pork floss buns for tea time. It’s not until close to 8pm that Ben decided to venture out again. He wanted to have a hair cut. We were unsure if the salon will be closed at that time but were surprised that they were still opened. The hair cut in Beijing was pretty cheap here. There are some place where you could get a haircut for 15 RMB (which is like $2.50 CAD)! Ben went to a more upscale one which charges 60 RMB (about CAD10) for his hair cut which is still way cheaper than the cheapest you can find in Vancouver. For 60 RMB, they even shampoo the hair. After the hair cut, we walked a bit looking for a light supper. 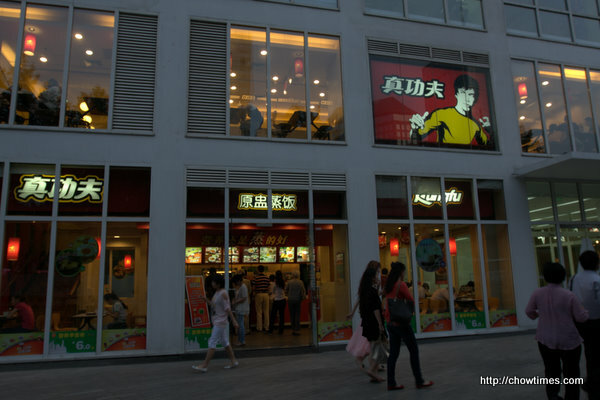 We ended at one of Ben’s favourite fast food chain called Kungfu. It’s already past 9pm and the restaurant is about to close. 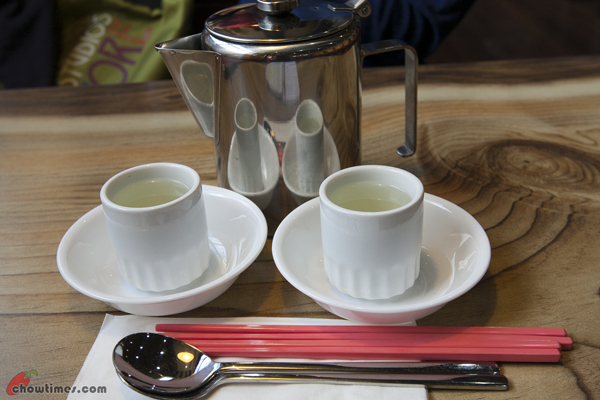 Ben ordered his favourite combo which comes with a double boiled soup. 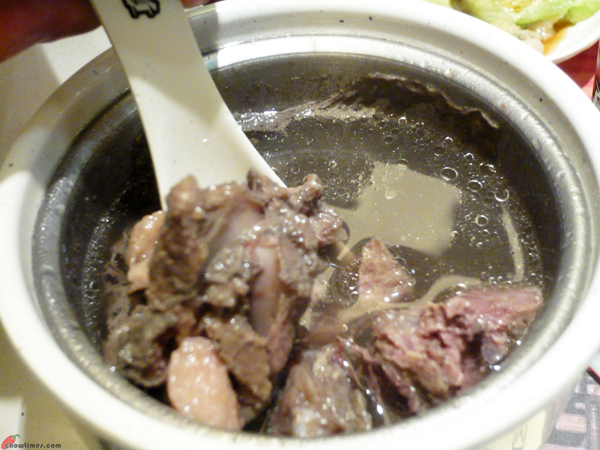 The pork rib soup was pretty tasty with quite a bit of pork ribs in it. After a few hours of walk in the Forbidden City, we were so tired and hungry. Ben brought me to an area called Huixin for lunch. He wanted to bring me to this famous chain restaurant called Hai Di Lao which is well known for its excellent service. They have many branches around the city. We got there quite late at almost 3PM. Even then the large restaurant is quite full. During meal times, this place is always packed and you have to wait for a table. You know, if you wait, they have things to keep you occupied. They will serve you drinks or give you oranges. There are also some computer which you can use to browse the internet. Why, you can even have your nails manicured – for free! 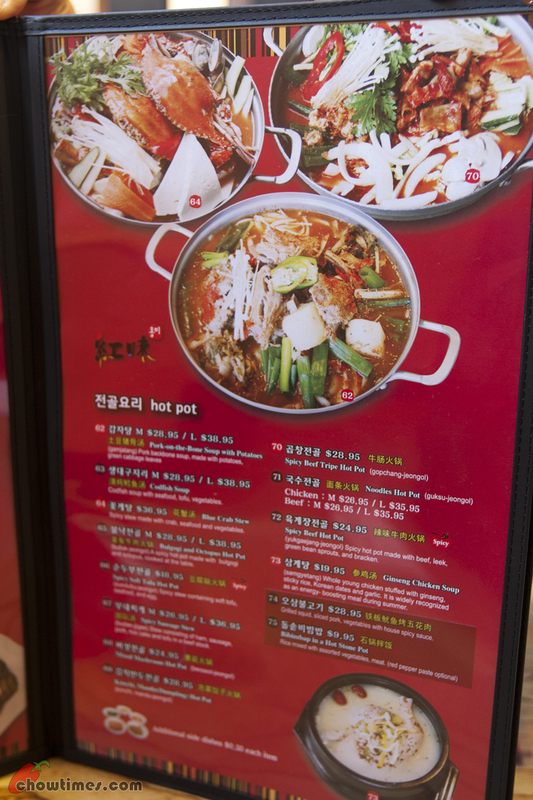 Hai Di Loa is a hot pot restaurant. 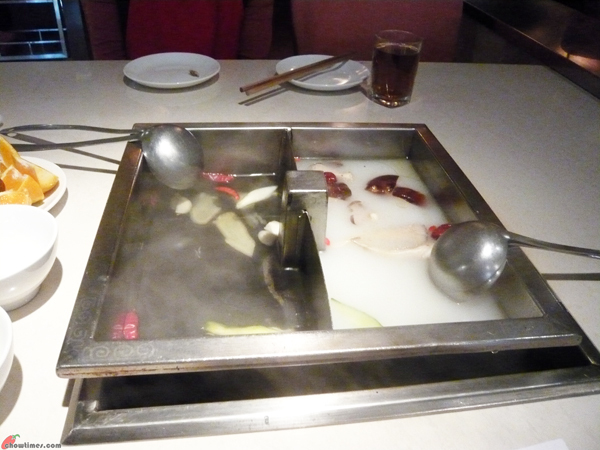 There are many hot pot restaurants in Beijing. 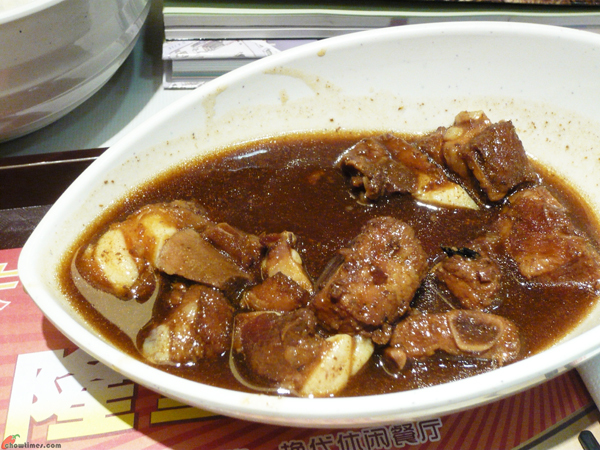 Some of the other more famous ones is Little Sheep and the historical Dong Lai Shun Muslim restaurant. But Hai Di Lao is the one which is most well known for its service. As usual we like to have 2 types of soup, plain and spicy. The first thing the server did after putting in the soup base is she asked us to taste the soup first. We tried the milky one which is the not spicy one. It was very nice, a little herb flavour. 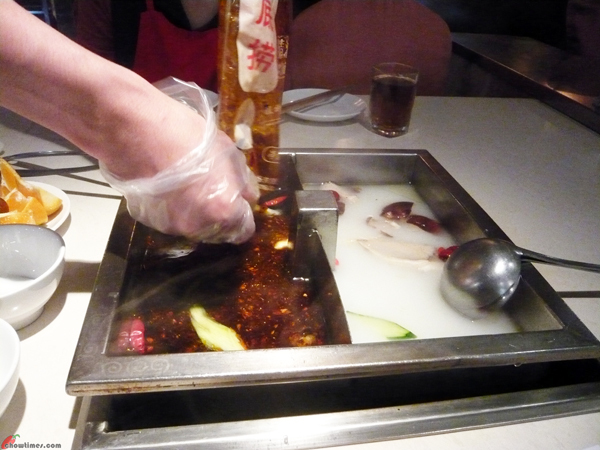 The server then brought a big packet of reddish chili sauce to be added to the clear soup section. Instantly, the spicy soup became red hot in colour. We were told that they do this so that you can be sure they do not recycle the soup base or the chilli sauce and that they are freshly made. 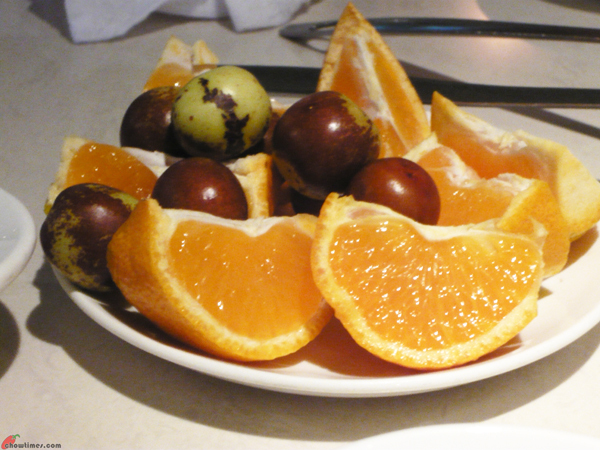 While we were studying the menu, the server also brought a fruit platter of oranges and dates and it’s free. How sweet. We can go get more ourselves if we want. About the dates, Ben said he did not realize that those were fresh dates. He had only known dates as ones that are dried. 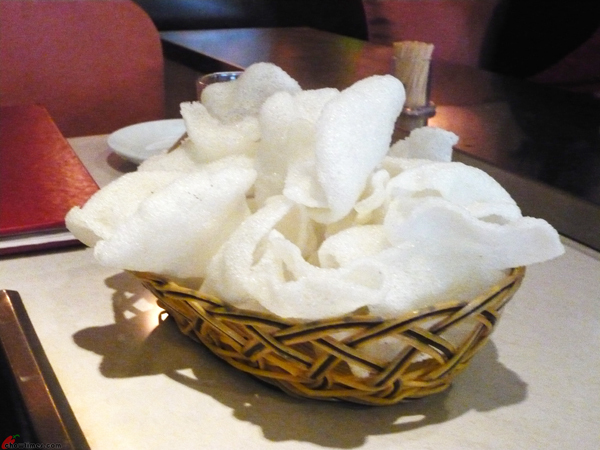 The server also served some prawn chips for us to snack on too while waiting. 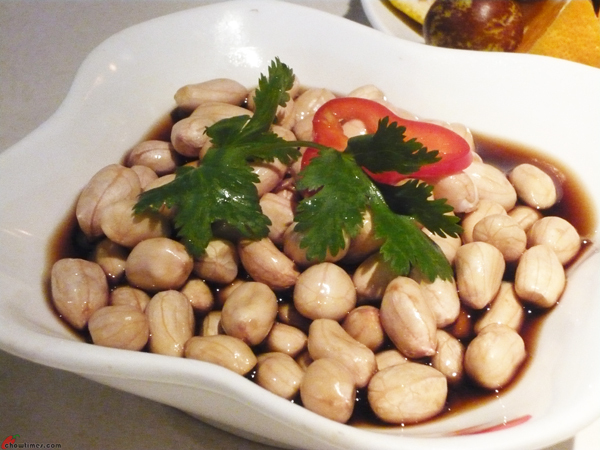 Ben ordered a boiled peanuts in vinegar sauce as appetizer. The peanuts were soft and vinegarish. Actually, we dont quite like this type of peanuts. 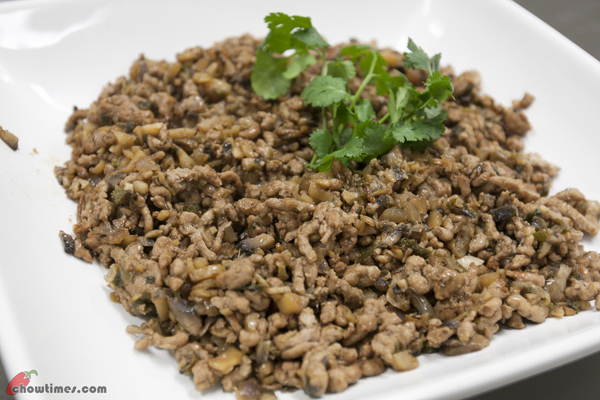 Ben ordered this because he had been to many Sichuanese meals and he likes to order this. 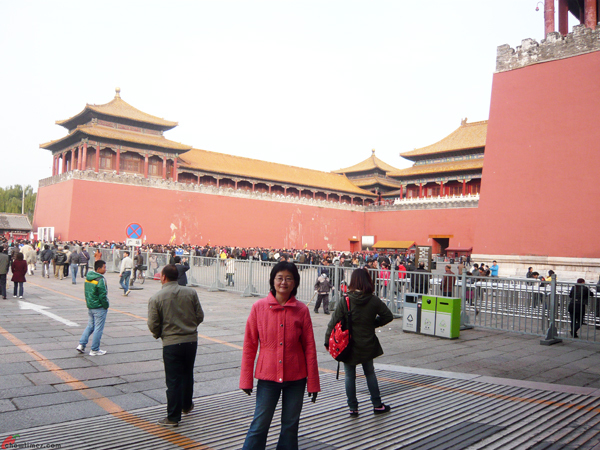 Ben had planned to bring me to the Forbidden City on a week day to avoid the crowds during weekend. We went there on a Monday. 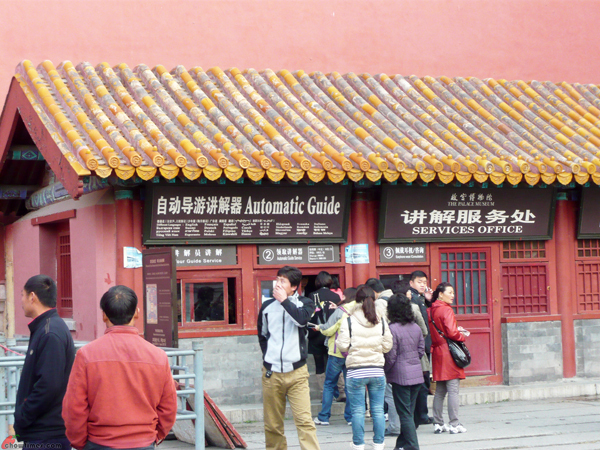 The Forbidden City name is commonly known to the Chinese as Gugong which means the old palace. This is one of my favourite walk in Beijing; it’s along the eastern perimeter of the Forbidden City and along the only section of the moat that is accessible to the public. The tree lined perimeter, guard towers and the moat makes the stroll a very pleasant one. And this is most definitely the approach to the Forbidden City that is not crowded and not known to many people. The Meridian Gate (Wumen), sometimes also called Five Phoenix Tower is the front door of the Forbidden City. It is the largest and the most spectacular of the gate structures along the central axis. On top of the U-shape base are five separate pavilions representing the five cardinal Confucian virtues; humanity, refinement, justice, education and trust. Wumen is where the emperor announced yearly planting schedules according to the lunar calendar. This is actually the main gate to the Forbidden Palace. Beyond the walls here is the Forbidden City proper. West of Wumen is where the main ticket office and audio-guide rentals are. 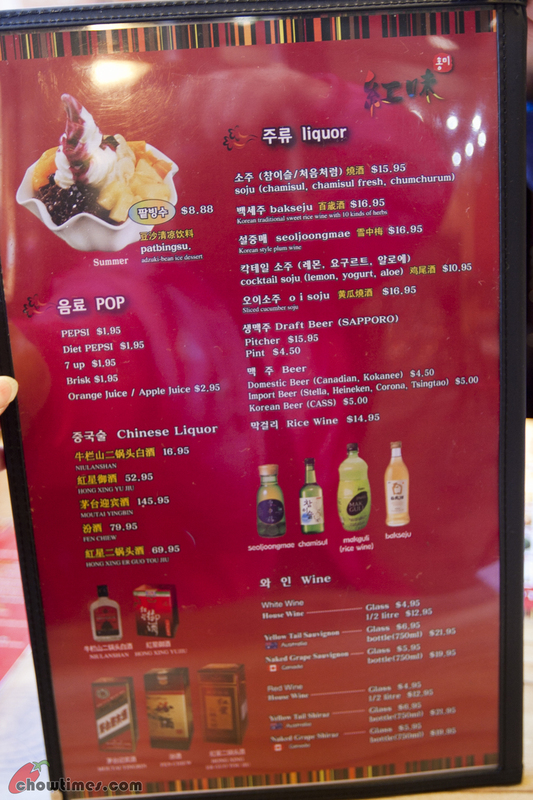 Entrance fee is RMB40 per person (about CAD6.70). There is always a long line at the ticket office (the picture above is not of the ticket office but of the Audio Guide rental office). There are scalpers who will try to entice you to buy the tickets from them to avoid the long lines. 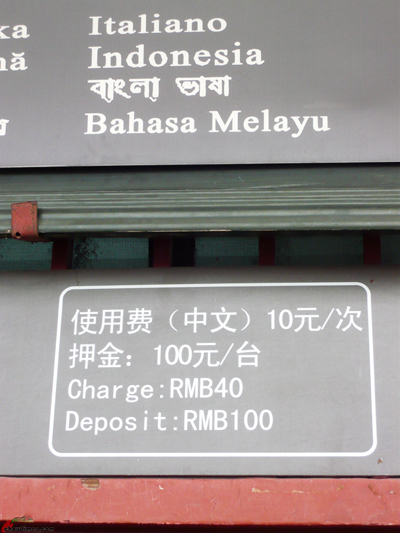 We noticed that the rental of the audio-guide in foreign language is 4 times more expensive than those in Chinese. Did you notice that sign above? In Chinese, the rental is 10 RMB but in English it is 40 RMB! Too bad we are not very good in Mandarin, otherwise we can save 30 RMB. The Forbidden City today is officially known as the Palace Museum (Gu Gong). It was listed as a World Heritage site in 1987. According to UNESCO, the Forbidden City represents the largest collection of preserved wooden structures in the world and also the largest palace complex in the world too. 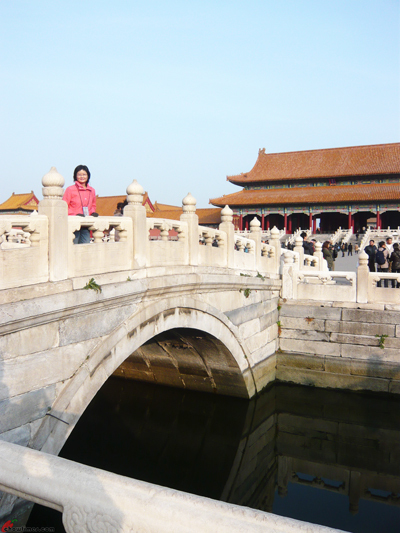 The Forbidden City is divided into two main parts, the Outer Courtyard and the Inner Courtyard. The Outer Courtyard comprises of three large halls (the Hall of Supreme Harmony, the Hall of Middle Harmony and the Hall of Preserving Harmony) used by the Ming and Qing emperors for public ceremonial purposes. The Inner Courtyard comprises of three large palaces (the Palace of Heavenly Purity, the Hall of Union and Peace and the Palace of Earthly Tranquility), used for the more private day-to-day affairs of state, as well as the residential quarters of the emperor, his family and servants. The Forbidden City was built by the third Ming Emperor, Yongle who moved the capital of China from Nanjing to Beijing about 600 years ago. 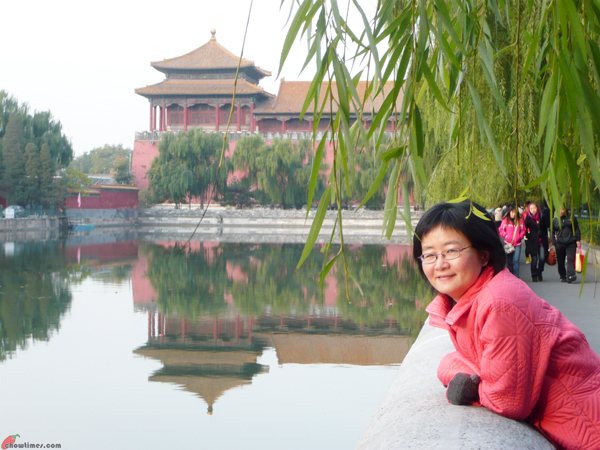 Since then, the Forbidden City is the seat of the government of the Ming and the Qing Dynasties for 500 years. In effect, the Forbidden City is considered then as the center of China and the Chinese universe. 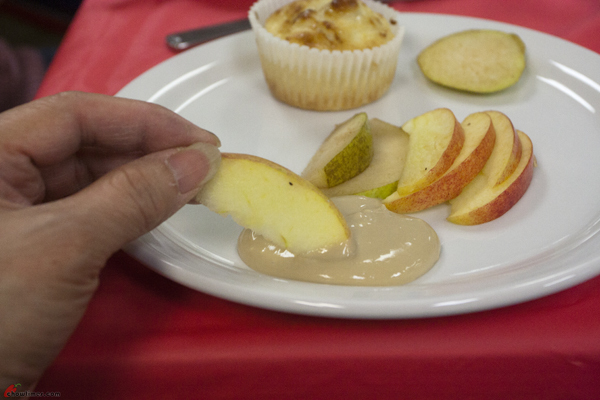 It’s a double dessert day at the South Arm Cooking Club for Seniors. 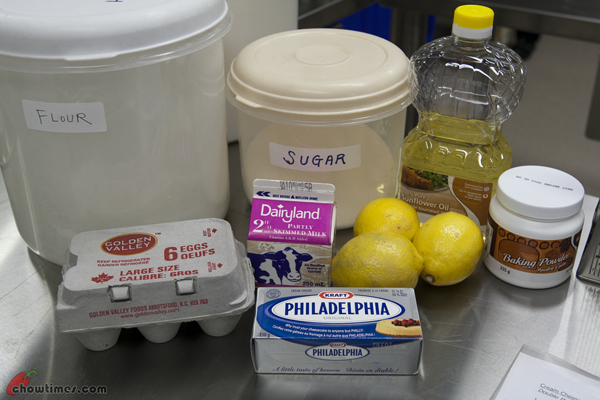 Michelle also prepared a Cream Cheese and Lemon Muffins in her mission to use up the cream cheese in stock. 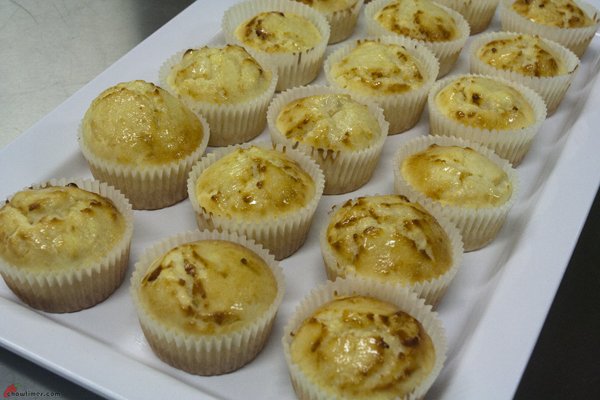 I really enjoyed these Cream Cheese and Lemon Muffins. It is moist, lemony and there are chunks of cream cheese in it. Michelle has a mission to use up some cream cheese in stock. 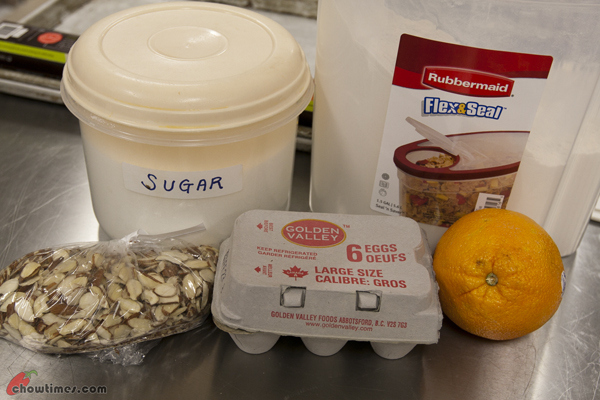 She prepared this Cream Cheese and Greek Yogurt Fruit Dip as dessert for the South Arm Cooking Club for Seniors. 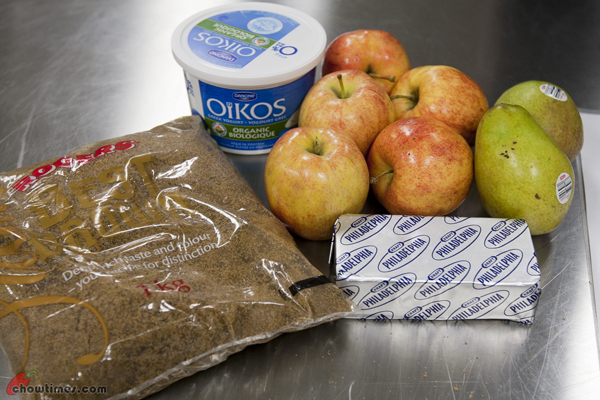 This Cream Cheese and Greek Yogurt Fruit Dip is Michelle’s family favourite. Her kids will eat the double amount of fruit whenever this dip is served. The dip tastes like caramel and it’s very creamy. Greek yogurt or strained yogurt is much higher in protein than regular yogurt. It adds nutrition to recipes that usually call for cream, sour cream or plain yogurt. If you usually use sour cream, try mixing together half sour cream and half low fat Greek yogurt for more protein and calcium. Based on PC choice brand product; plain yogurt has 8 grams of protein per 175g serving while Greek yogurt can have 18 grams of protein per 175g serving. More protein keeps you feeling fuller longer.